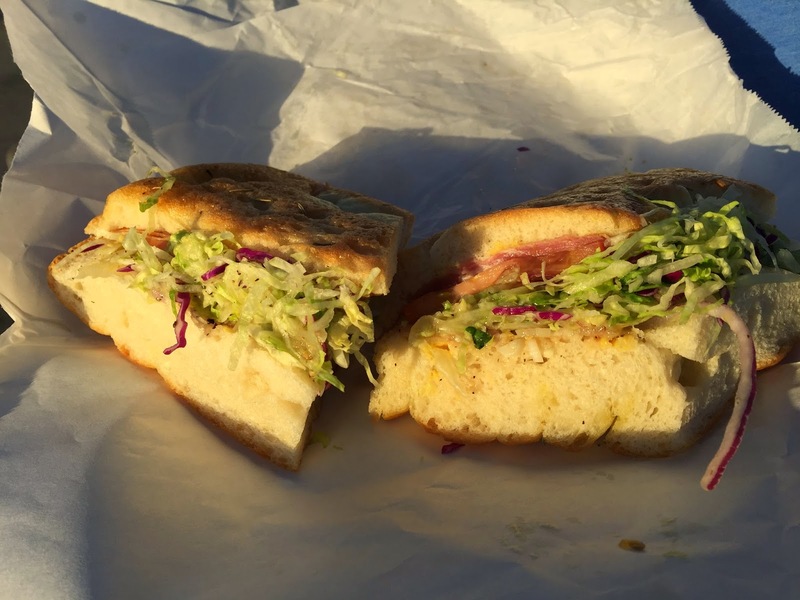 Today, we picked up a couple of Italian sub sandwiches at Mona Lisa Italian Foods in San Diego's Little Italy. Read my full review with pictures after the break. Mona Lisa Market in San Diego's Little Italy (near the pier and downtown) is a deli, market, and shop, as well as a bar and restaurant. We went into the deli where fresh meats and salads are on display. We tried the #8 Deluxe sub which is salami and ham on provolone and mortadella. 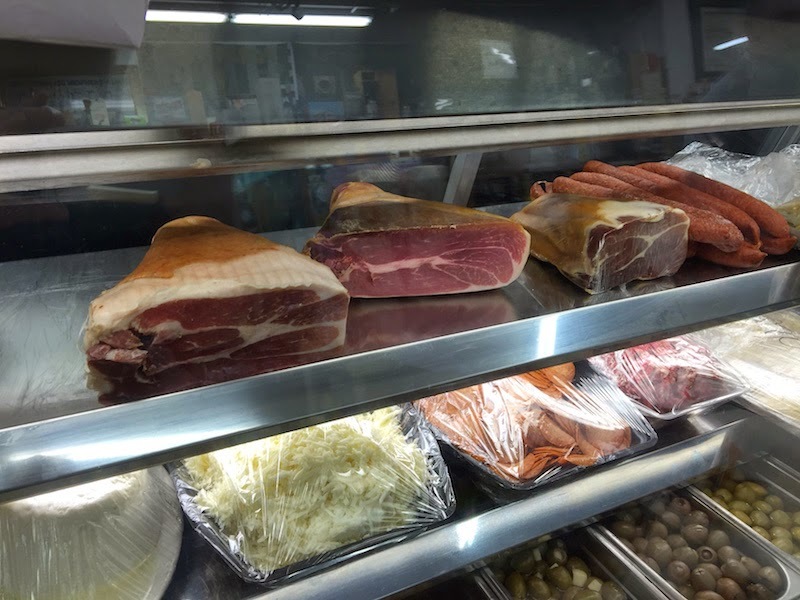 The meats are sliced fresh at the deli and are very top quality. I had it on an Italian roll which was firm but not too hard, and very fresh. This was an excellent sandwich. The sandwiches are served with onions, lettuce, tomatoes, mustard, mayo, salt and pepper, and Italian dressing. We also tried the #6 prosciutto sandwich. Also very good. San Diego's Little Italy was a real treat. Near the water, airport, and the Gaslamp Quarter, it's easy to get to and has a friendly atmosphere. We heard a lot of people speaking Italian, and with the statue at the center of the district, this feels like a little slice of Italy, and not just a part of town for tourists. 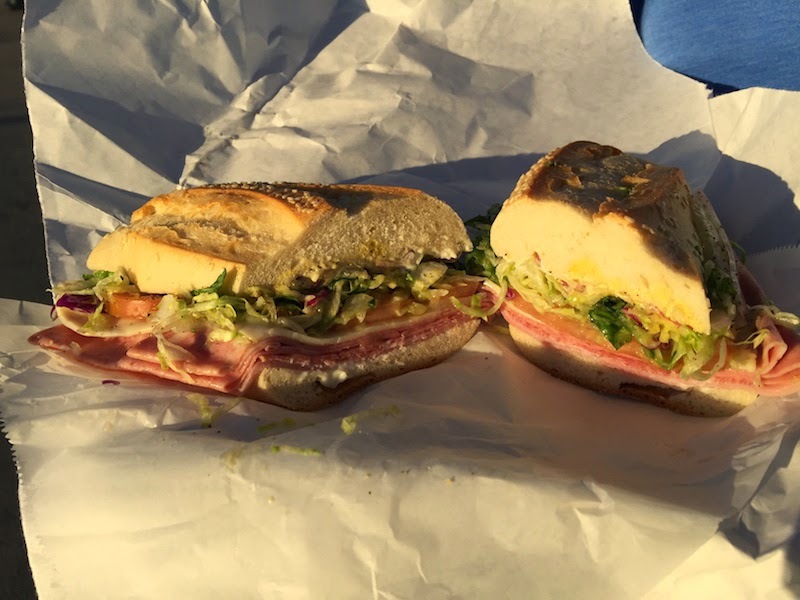 And when you're in Little Italy, be sure to drop by Mona Lisa Italian Foods for a sandwich at the deli, or visit the bar or restaurant.